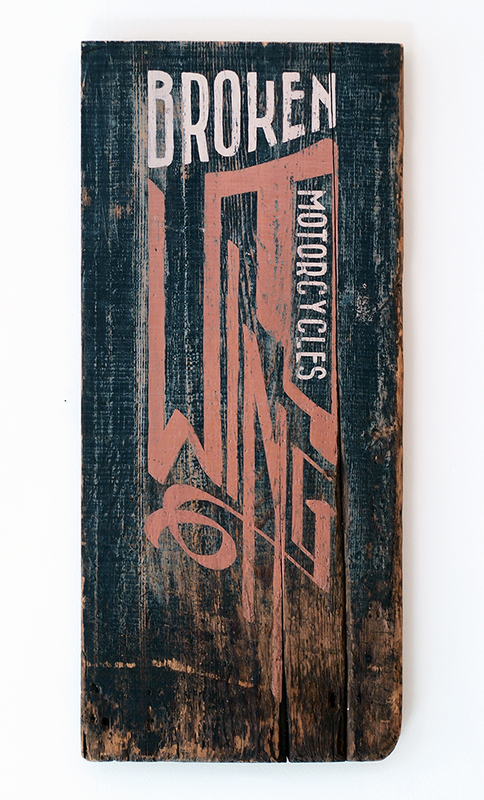 After 4 years of travel and 2 museum exhibitions, my piece Broken Wing Motorcycles has come home to live on. The 2 Wheels+Motor exhibit, curated by fellow vintage motorcycle motor-head Ric Stewart, first landed at the AMA Motorcycle Hall Of Fame in Ohio. After spending a couple years on display there it traveled to the National Motorcycle Museum in Iowa. By then, the exhibition had gained more work and momentum. 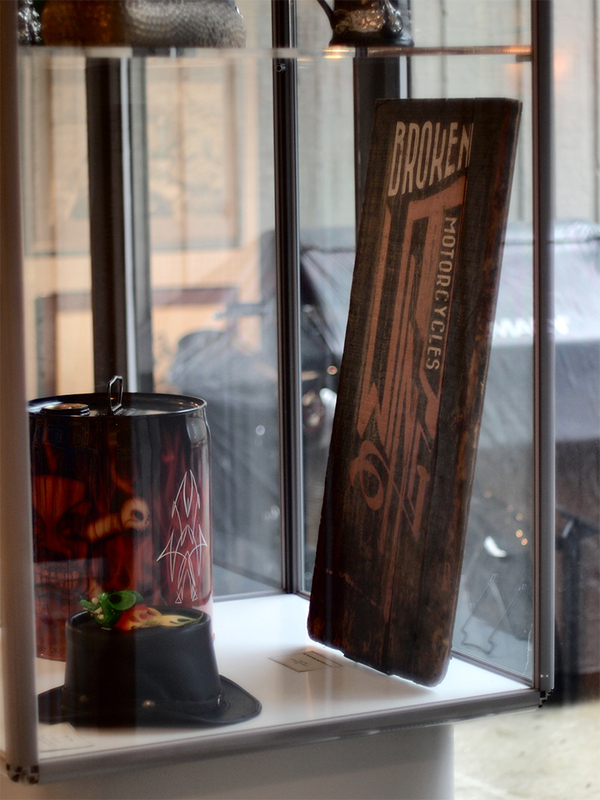 Comprised of paintings, bronze, mixed media sculptures, prints and photographs, 2 Wheels+Motor garnered a lot of attention by the motorcycle community both near and far. Artists from the US and Canada joined forces by way of Stewart’s vision, in a way that brought together works surrounding the titular theme. Read on to see more of the artwork on display. 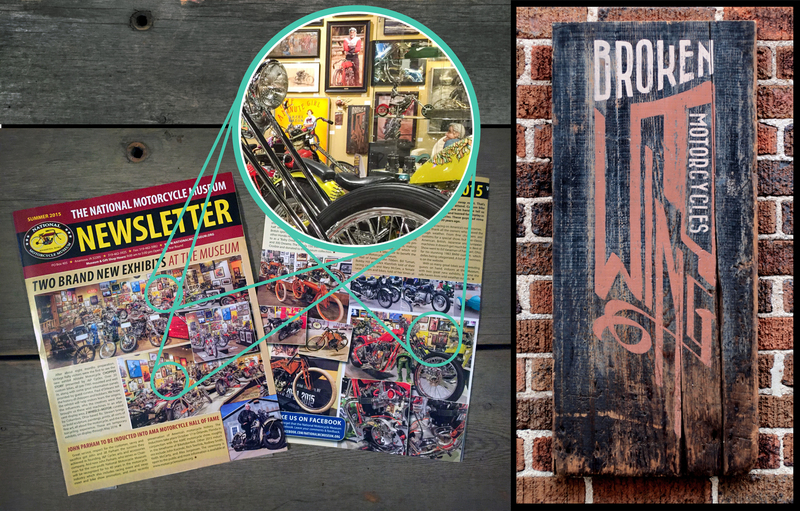 Motorcycle Rides and Culture had a featured article on the exhibit as did the American Motorcyclist. I also believe that Thunder Roads and a few rags in Europe did as well. AMA dedication can be found here. And just for some eye candy, here’s a few images from the AMA Hall of Fame! Feel free to comment if you know the year or model (especially if you own one like it). You know… I dig this. Very nice piece! Glad it travelled.